1) Early estimates for the cost of the left’s proposed Green New Deal are $93 trillion dollars, an amount that is four times the present National Debt. This translates into about $650,000 dollars for each person in America. The present National Debt is $22 trillion dollars, with many fearing the debt is already a danger for America’s future viability. The study also refuted claims of the Green New Deal being an investment in America’s future, that the savings would pale in comparison to investment. 2) Lyft, a ride sharing app much like Uber, has filed for an IPO. Some are claiming we’re in an end game for automobiles, that car ownership is on the decline. Car ownership is becoming too expensive for people, so it is shifting from private car ownership to ‘Transportation as a Service’ spurred by the upcoming self driving cars. 3) Congress will soon be facing the budget problem again. With the National Debt now at $22 trillion dollars and the debt ceiling reinstated this last Saturday, this promises to be another major contentious issue for the congress to fight over. Estimates are that the US will add another $12.2 trillion dollars in the next ten years. TECHNOLOGY RIDE SHARE COMPANIES UBER & LYFT ARE EARNING WAY MORE THEN YELLOW/GREEN CABS & TAXIS!!!!!!! 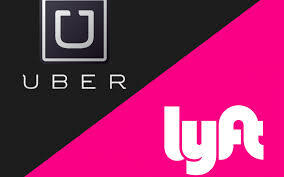 It seems that Uber and Lyft are crushing the competition in the customer service ride share industry, if that is even an industry to say the least; these two mega companies created and infiltrated ride share customer service. While they are in the forefront of picking up customers through their online apps, taxis and cabs in metro areas like NYC, Miami, Chicago, Atlanta, LA, San Francisco are taking hits and seeing major declines in customer pick ups. Taxi and cabs are increasingly losing value as the ride share tech giants are taking over the industry, revenue for cabs have gone done drastically even though cabs pickup more people in metro areas such as New York City, statistics show in NYC, taxis in the city picked 450k-500k passengers in April 2016 as compared to Lyft’s & Uber’s 200k passengers combined according to stats provided by Morgan’s Stanley. Though taxis and cabs picked up more people during that time period; their revenue did not come close to what Uber/Lyft made during that month of April.